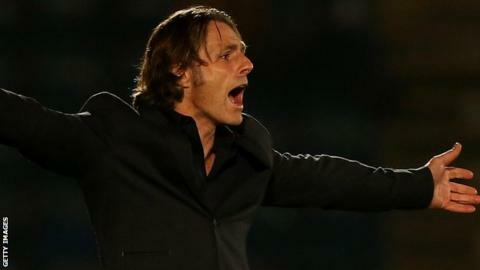 Manager Gareth Ainsworth has signed a new long-term deal with League Two leaders Wycombe Wanderers. Ainsworth, 41, took his first permanent managerial role when he became Chairboys boss in 2012. The former QPR winger oversaw last season's final-day escape from the League Two relegation zone. Ainsworth, whose side drew 1-1 with promotion rivals Luton on Friday, has led the Adams Park side to the top of the table with 12 wins this term. The length of the contract is undisclosed, but is believed to be a substantial extension to the two-year deal he signed in 2013.